Our next event is our second Eden Artspeak talk of the year, with Belinda Griffiths and Lyn Bergquist at Karekare House on Saturday 27 March. 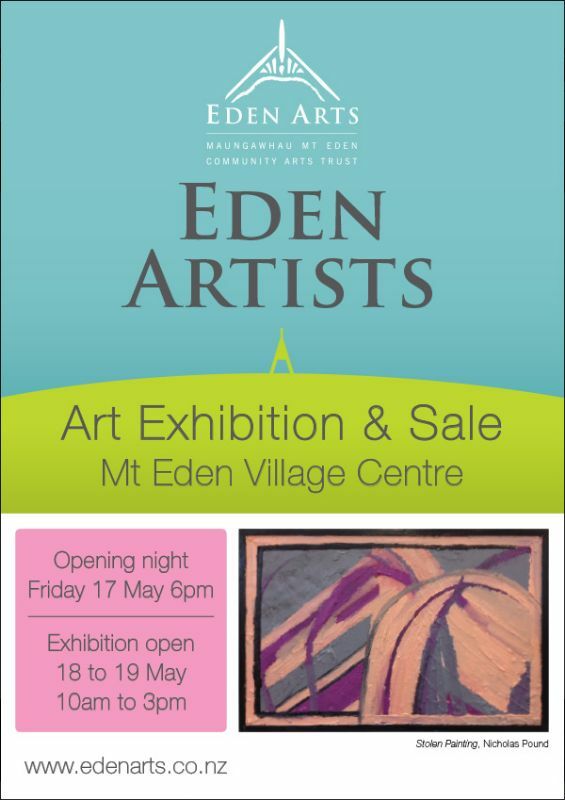 This is followed next month by our Eden Artists Exhibition & Sale in Mt Eden, back by popular demand! A selection of artworks on display and for sale by your favourite Artists in Eden artists. See below for our 2019 calendar. Further details will be added as they are confirmed.